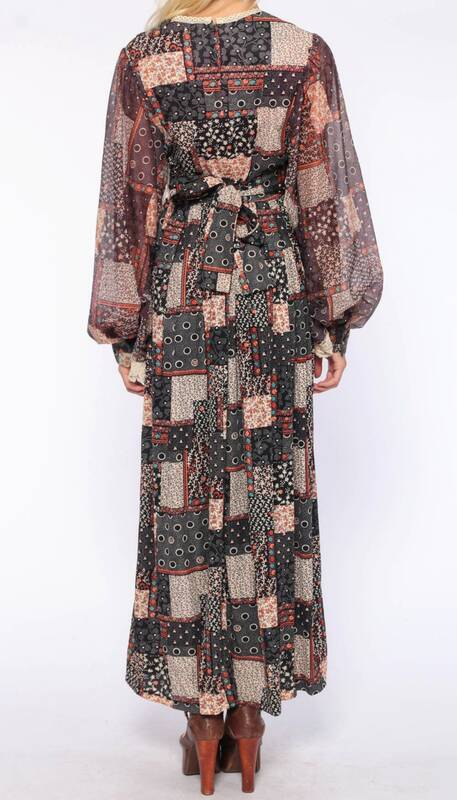 Vintage 70s dress in a patchwork floral print with lace trim. It has an empire waist with an attached belt, long semi-sheer balloon sleeves and a maxi length skirt. Rear zipper. Best fits womens: Labelled size 12. Fits Small to Medium.